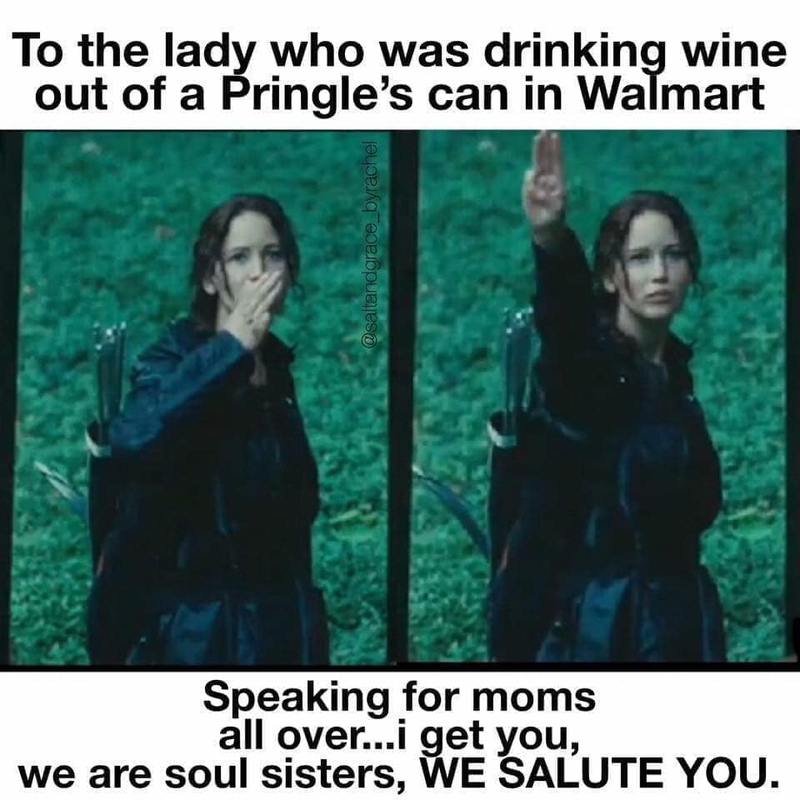 Woman banned from Walmart after Riding Cart while Drinking Wine from Pringles Can. Throw in some Cheez-it’s and I’m game! I saw that today and I was dying. Let her live her life! No question, the Pringles container as a wine glass is my favorite part of the story. I've never thought of a Pringles can in terms of being a drinking vessel of any kind. Now I want to know if it was a "short stack" Pringles can or the longer one. I'm really curious how well the pringles can worked. Did it leak? There's also that metal lip on the top of the can - hopefully she was careful to avoid getting cut! The pringles can is also my favorite part of the story! Did she eat them first and then pour the wine in? If so, what flavor? Posted here instead of Monday. But yeah, definitely life goals. See? There I go being mundane again. I just naturally assumed it was the red, regular flavor can. There are wine pairings with food. Why shouldn't there be with Pringles flavors? Especially when mixed with crumbs and the leftover seasoning dust. BBQ flavor should definitely be a red wine. Perhaps a Merlot. I'm picturing the Sour Cream and Onion with a white that has notes of fruit and a crisp finish. Isn’t there a cheese-flavored Pringle’s? I guess a good Cabernet Sauvignon in that canister would work? There’s your wine and cheese in one lol. I still haven’t actually been inside a Walmart (geographically Target makes more sense) but this certainly adds to my curiosity. All of those “people of Walmart” stories...this..I’m so intrigued to see everything. There’s also a pizza flavor. I wonder what you would pair with that.